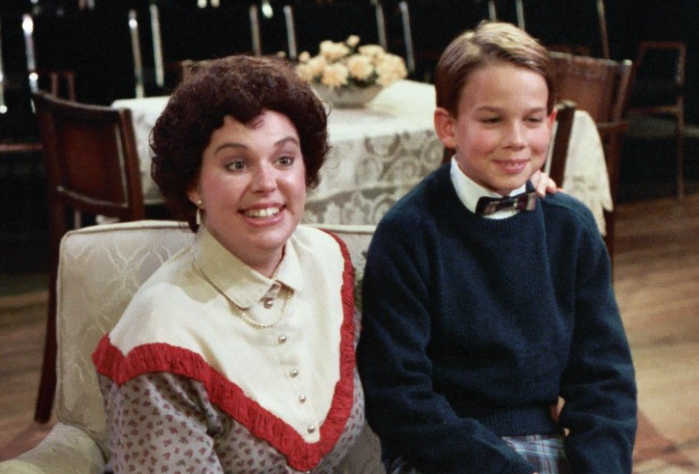 Karen Hagerman & Christopher Gorham in CHEAPER BY THE DOZEN, 1986. Christopher Gorham, a charismatic and versatile mainstay of the stage, screen and television, can currently be seen starring in the new USA series “Covert Affairs.” Known as “Chris” during his time with GCP because “Christopher” wouldn’t fit on his shirt, he was a GCPlayer from 1986 to 1987, appearing in the Junior Company and in Cheaper By The Dozen at Good Company Players’ 2ndSpace Theatre. He attended Roosevelt School of the Arts and went on to graduate from UCLA, then landed a job as an intern on Baywatch. Chris’s television appearances range from guest appearances to leading roles in such shows as Odyssey 5, Jake 2.0, Party of Five,Felicity, Popular, Medical Investigation, Out of Practice, Relative Chaos, Without A Trace, Harper’s Island, Ugly Betty and, of course, the USA cable hit in which he currently stars, Covert Affairs. Gorham’s most notable film appearances include 2001′s The Other Side of Heaven co-starring Anne Hathaway, A Life Less Ordinary, My Girlfriend’s Boyfriend and a number of others. He most recently finished The Ledge with Liv Taylor, Patrick Wilson and Terrence Howard. Gorham also completed a guest star performance role in the Off-Broadway production of “Spalding Gray: Stories Left to Tell” at the Minetta Lane Theatre. Gorham is a Fresno native who, while attending UCLA met his wife, actress Anel Lopez Gorham with whom he now has two sons and a daughter.